When I arrived in Bend back in July 2016, I did so jumping out of the back of a stranger’s truck. Not my typical entrance. Then again, this was my first dalliance with long-distance backpacking. The successful hitch-hike had transported me from a nearby trailhead of the Pacific Crest Trail (PCT), to a place that promised real food, a bed, and most importantly, a shower. I came to Bend with scant expectations, but I instantly fell in love. The sun shone high above bustling streets lined with independent boutiques – not surprising for a place that boasts 300 days of sunshine a year. 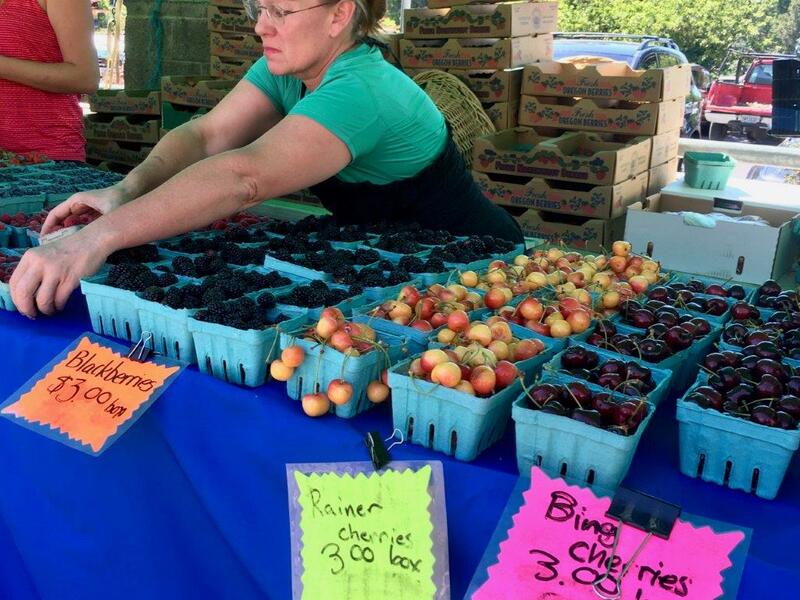 My immediate attention was drawn to a vibrant farmers market, selling countless varieties of juicy cherries and colourful delicacies. Yet, not even the sight and smells of tantalising food could distract this hungry hiker from the backdrop. Beyond a perfect blue horizon, the majestic dominance of the cascade mountains seemed to sing. Looking around, Bend instantly felt like a place I wanted to live. Located in the high desert region of central Oregon, Bend sits on the less-visited eastern edge of the volcanic Cascade Range. Of course, you could walk or hitch there, but most people would elect to drive along one of the handful of highways crossing the mountains from the coast. The journey takes little over three-hours from Portland. And what a picturesque trip it is. Driving along the 82-mile scenic byway that loops between McKenzie Pass and Santiam Pass, you will be presented with a feast of striking contrasts. Panoramic views abound, ranging from high lava fields framed by snowy volcanic peaks, to dense pine forests scattered with sparkling alpine lakes. With year-round access to the great outdoors, the range of pursuits on offer are virtually endless. 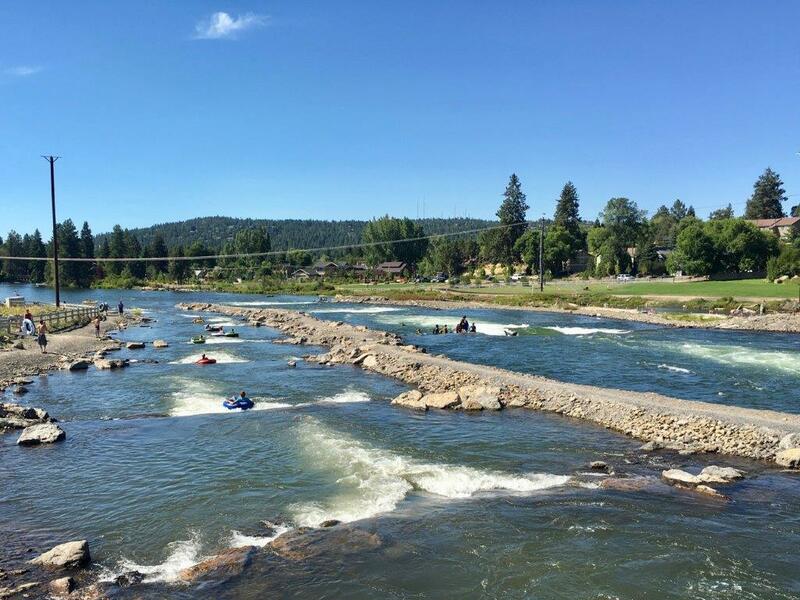 Try your hand at tubing or stand-up paddle boarding down the Deschutes River, which runs right through downtown. Or take a cycle along some of the 51 miles of in-town trails. The Deschutes River Trail starting at Farewell Bend Park makes for an easy three-mile loop. You’ll pass babbling rapids and waterfalls, and can even take a rewarding dip from the park’s river-side beach afterwards. In wintertime, locals head to “the Mountain” (Mount. 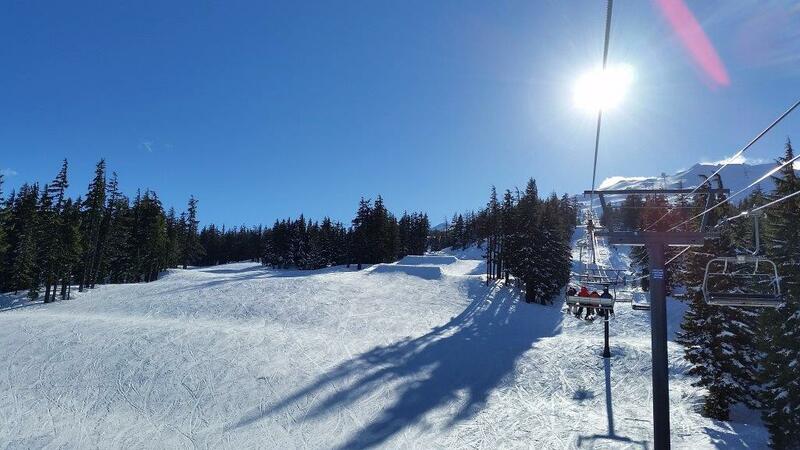 Bachelor), the 6th largest ski resort in North America to ski, snow-shoe, and board across over 4,000 acres of Nordic-inspired terrain. Within easy reach of town, thousands of miles of hiking trails lie waiting to be discovered. Either day-hike, or immerse yourself in the wilderness on a multi-day camping adventure. Those interested in gaining a taste of the infamous PCT could start by taking a drive up to McKenzie Pass. Here the forest ends and the landscape is transformed into a darkened expanse of crunchy lava. For a daytrip, simply stop by the Dee Wright Observatory, formed entirely from lava rock, and amble along the paved half-mile interpretive Lava River National Recreation Trail. If you have more time and are keen to stretch your legs, join the PCT south-bound, for a trek into the Three Sisters Wilderness. 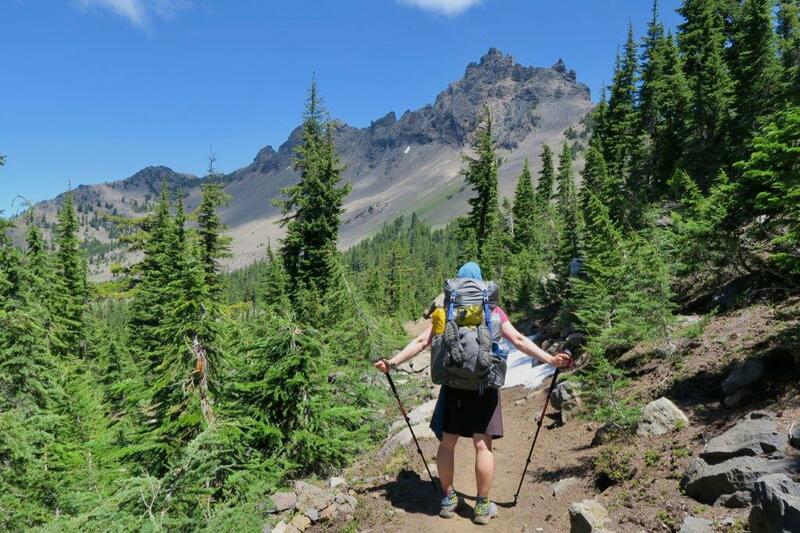 With some climbing, the trail will take you through a land of cinder peaks and lava fields, into a landscape suddenly alive with wildflower-encrusted meadows set against the stunning background of the towering Three Sisters peaks. Make sure to look out for the rare glass-like obsidian rock which surrounds the falls around 12-miles in. For those less-inclined towards hitting the traditional trail, how about challenging yourself to a journey along the Bend Ale Trail? Bend takes great pride in their craft beer scene. 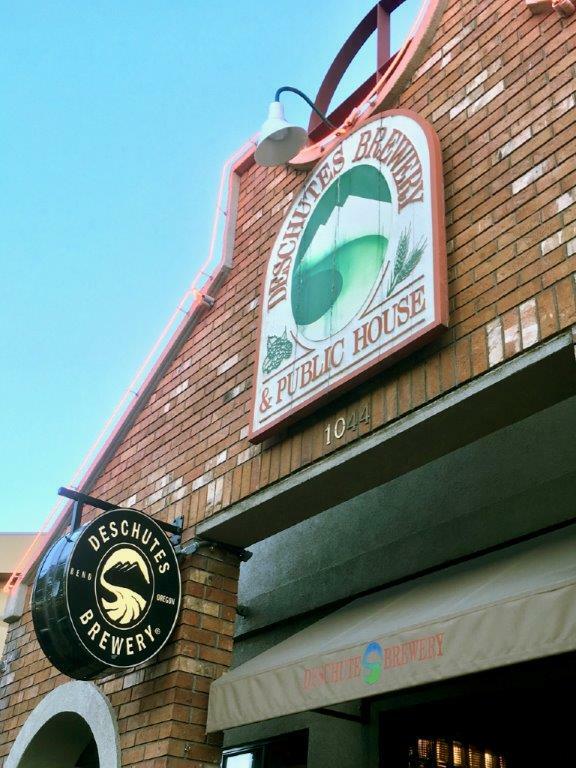 With over 19 craft breweries, the self-proclaimed “Beer Town USA” boasts more breweries per-capita than any other city in Oregon. Pick up a copy of the Bend Ale Trail Map, then take your time strolling or cycling between the hip establishments to stamp your Ale Trail Passport. Alternatively, hop on the Bend Brew Bus for a more chilled door-to-door tour with one of their knowledgeable beer guides. For the non-beer lovers, you’ll be glad to know the town is also home to plenty of independent distilleries, cideries, and wineries. Take your pick. But of course always drink responsibly! If you would prefer to focus instead on the more “cultural” side of alcohol consumption, look no further than a cave tour with Wanderlust Tours. The company will take you on an exploration through nearby lava tubes, where distilleries and drunken lumberjacks once hid during the days of prohibition. Back in town, Bend has enjoyed a cosmopolitan food revival in recent years. Choices are plentiful. At Zydeco, where the menu offers organic Cajun-influenced comfort-food, there is a little something for everyone - they even have a separate gluten-free menu. Teamed with delicious fresh cocktails, the place takes some beating. For casual eats, many of the breweries serve simple, but solid American fare – think burgers and loaded nachos – and lots of the local bars and restaurants host great happy hour offers, certainly worth heading out early for. After a day filled with activity, Bend's artisan coffee roasteries will perk you up. Try a vanilla latte made with homemade vanilla syrup from Lone Pine Coffee Roasters, or head to Bom Dia for their innovative take on everything espresso. Yet no visit to Bend is complete without stopping by my personal favourite in culinary establishments: Bontà Gelato. Their delightfully eclectic range of flavours are ridiculously smooth and ever-so moreish. 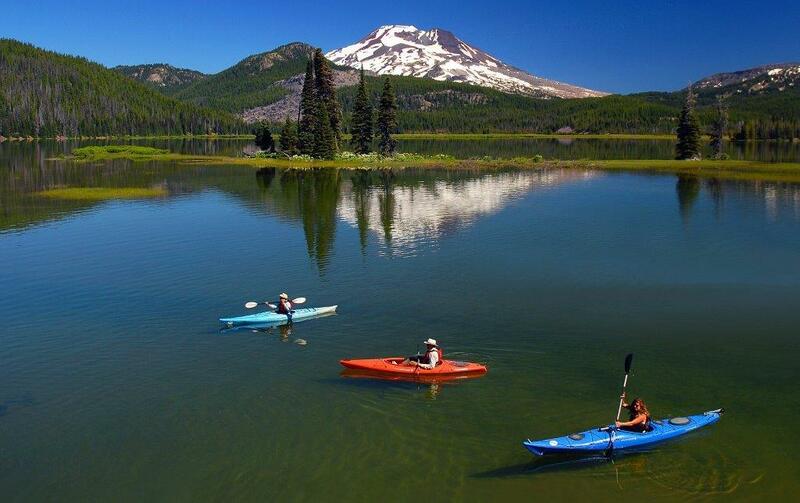 Eventually leaving Bend behind, you’ll find a plethora of road-tripping route options. If you choose to head south, visit Crater Lake National Park just 90 miles away, before looping back to Portland via the pristine Oregon coast. Or if northwards is your plan, take the US-26 via Mount Hood, swinging by the iconic Timberline Lodge (the filming location for the fictional Overlook Hotel in The Shining), before joining the historic waterfall-lined Columbia River Highway back to the city. Just be aware that some of the mountain passes will be closed from late Fall, so always check road routes ahead. I could talk all-day about the possibilities for exploration in and around this cool mountain town, but I won't. Go and discover it for yourself.